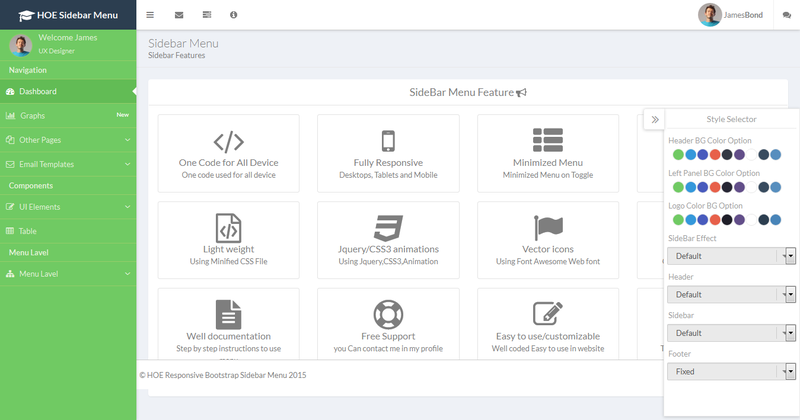 HOE Navigation Menu consist of both Horizantal and Vertical navigation menu based on CSS3 and Jquery. Its lightweight and compatible with almost all major browsers and devices. It supports four levels sub menu with shrink, Overlay and push effect. Multiple Theme background option in boxed Themelayout. -> Responsive Horizontal Menu in Right Header. -> Icons on Right Header(like Admin Templates). 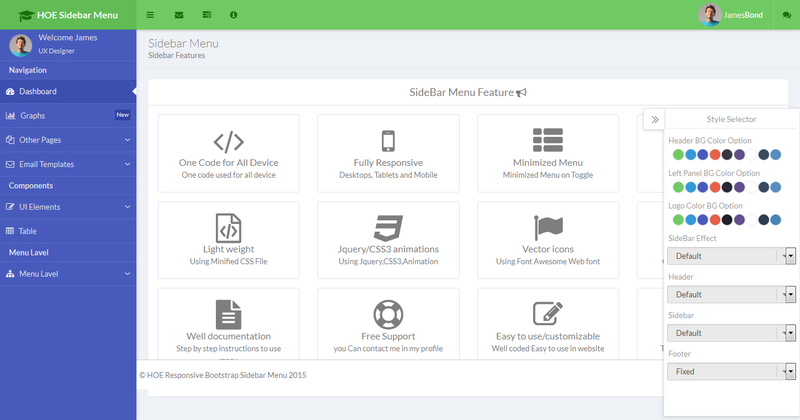 -> Resolved the menu collapses before the page redirect occurs issue. -> Resolve Active(selected) link Issue. -> Included Demo code in document folder. -> Included box layout and wide layout feature. -> Included Theme background option. --> On Click Active State on Menu Items Link. --> Separate HTML files for different Navigation Views. --> Separate CSS files for respective navigation Views.